A veteran of the Czech Republic league, goalkeeper Zdenek Zlamal joins Hearts to succeed Jon McLaughlin. He has a gargantuan void to fill given McLaughlin’s success at Tynecastle Park but, at 6ft 4in and 32 years old, Zlamal will not be intimidated by the task awaiting him in Edinburgh. The Czech former Hearts striker Michal Pospisil played against Zlamal in their native league and believes he will cope well with Scottish football. The keeper left Fastav Zlin for free after a clause in his contract was activated allowing him to join a foreign club. Hearts handed him a three-year deal, with McLaughlin out of contract and about to leave after one very impressive season. 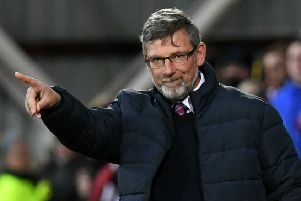 Little is known in Gorgie about the man poised to be installed as Craig Levein’s new No.1. Pospisil, a Hearts player between July 2005 and January 2008, expects Zlamal to be a success. He cited the goalkeeper’s height and leadership as being amongst his main assets. “I know him from playing against him a few times. He is a bit younger than me,” said Pospisil, speaking exclusively to the Evening News. “He still has a few good years in front of him. “He is a good goalkeeper and a very big guy for a keeper. I remember him being good at organising the defence because he is very loud in the penalty area. He is not afraid. He is a fighter and he wants to win. He always seemed to have a good attitude. One Czech cap gained nine years ago indicates the level Zlamal is capable of reaching. Like many compatriots in his position, he was unable to gain more international recognition due to the untouchable Petr Cech, who retired from national service in 2016. Now he finds himself out of the picture and a fair way down the queue for places in the Czech squad. Tomas Vaclik of Basel, Rennes keeper Tomas Koubek and Jiri Pavlenka of Werder Bremen are all ahead of him in coach Karel Jarolim’s plans. “Zlamal is not the best goalkeeper in Czech Republic because, in the national team, we have three much better keepers,” admitted Pospisil. “In league standard, he was always better than average I would say. He is a decent goalkeeper to have and he always makes it difficult for the other team’s strikers. Hearts fans adored Pospisil and his compatriots Rudi Skacel and Roman Bednar when they wore maroon. All three did their work in the final third of the field, so having a Czech goalkeeper will be a new experience. “It’s not a striker but keepers are also important,” laughed Pospisil. “I will watch him more now because Hearts will be in the news here in Czech Republic. Taking the gloves from McLaughlin is an extreme challenge for any Hearts goalkeeper. He set a new club record of eight successive clean sheets during his year in Edinburgh and is about to be rewarded with a Scotland debut against Mexico. Pospisil outlined the need for Zlamal to begin confidently and build momentum to bring supporters on side quickly. “It will be important to learn the English language quickly because I don’t know if Zlamal is good with English or not. I’m sure he will pick it up very fast. Now 39, Pospisil is very much in the twilight of his own career with Predni Kopanina in the Prague Championship – the fifth division of Czech football. He considered retiring at the end of the season but has been persuaded to continue for another 12 months to help nurture some of the club’s emerging youth players. “I wanted to finish but the young boys are not good enough,” he explained with brutal honesty. “I can still play and I have to teach them. Maybe I will play one more season.